April is the month of fresh beginnings, budding flowers, and poetry. According to my handy-dandy organizer, April is National Poetry Month. I couldn't just sit and let National Poetry Month pass us by. We needed to celebrate (because, honestly, we look for any excuse to party around here). What could we do to add a little party school to our month? 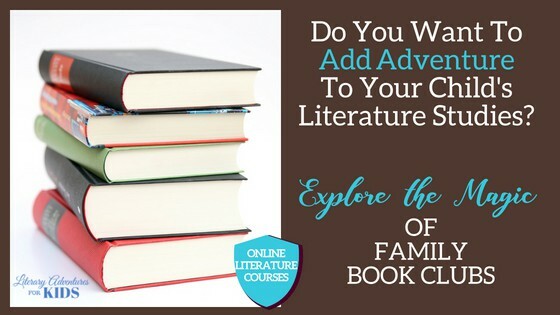 Ah, a book club about a fantastic poetry book would fit the bill. 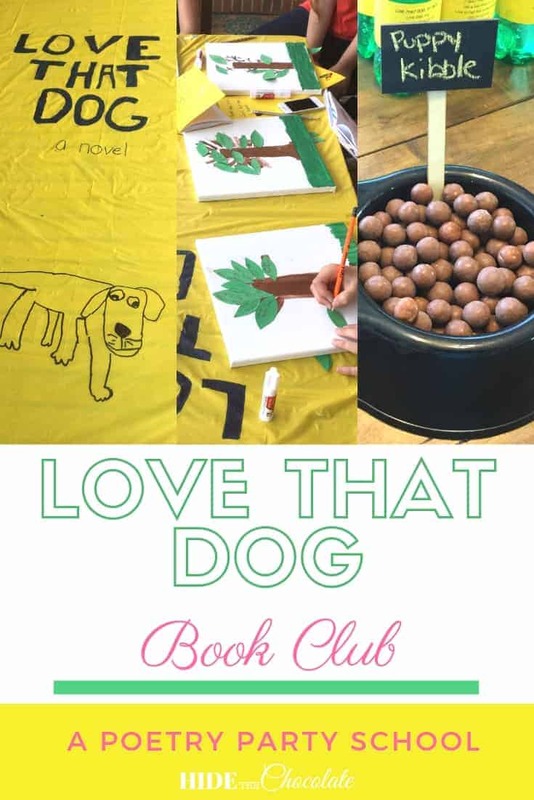 Let me introduce you to our Love That Dog Book Club. My daughters are members of a local book club. Each month we choose a book and then meet at one of the girls’ homes for a book club/party school. 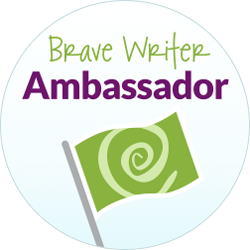 At our house, we use the Brave Writer product, the Arrow. I love the Arrow because the copywork and the grammar lessons are laid out for me as well as a writing activity. 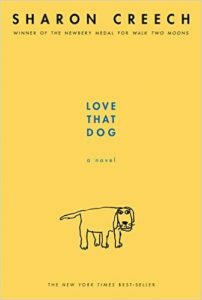 This month our book choice was Love That Dog by Sharon Creech. I like to start our book club with a project. This month I found inspiration from a dear friend who blogs at Up Above the Rowan Tree. 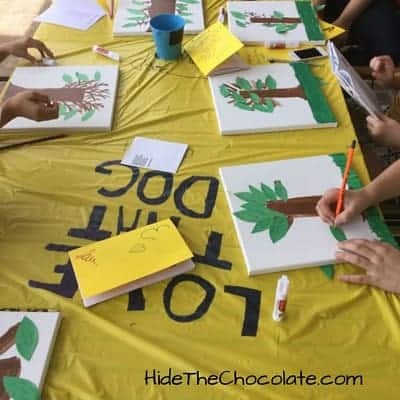 Nadine had a great idea for creating a PoetTree with leaves that were names of poems that the children had read that month. I modified that a bit. 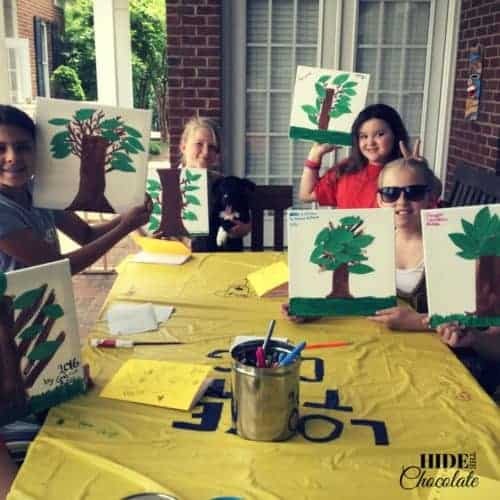 When the girls arrived, they were given a canvas and paints with the instructions to paint a tree with no leaves. While those were drying, we discussed the book Love That Dog. 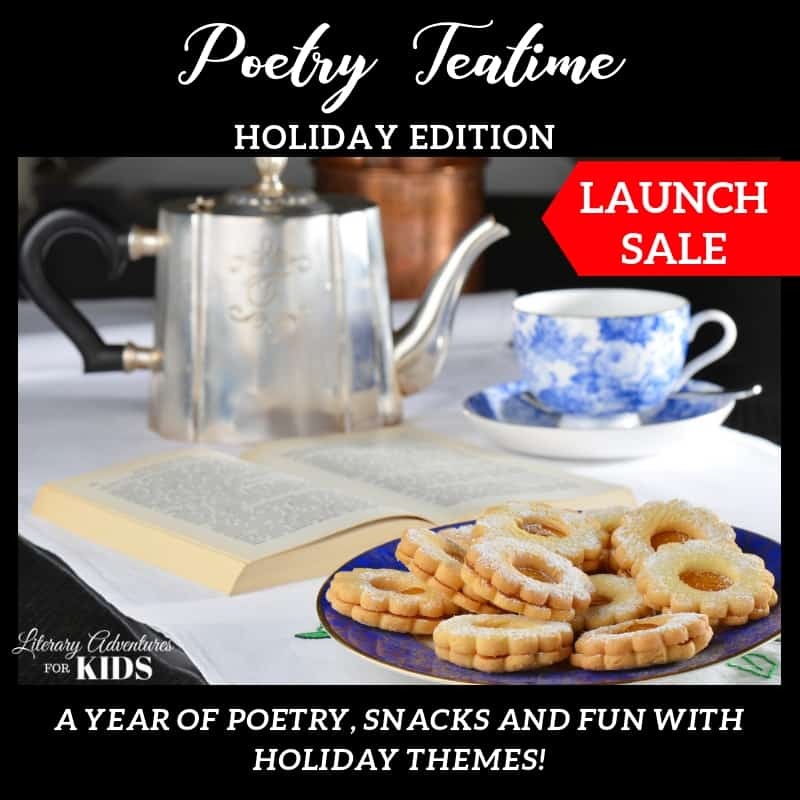 I had printed out several types of poems and created a quick book with some extra pages at the back. The girls decorated their book covers while we talked about the different poems and their meanings. At the end of the discussion, I gave them time to write their own poems in the back. Earlier in the month, I had asked the girls to pick out some of their favorite poems to bring to the book club. 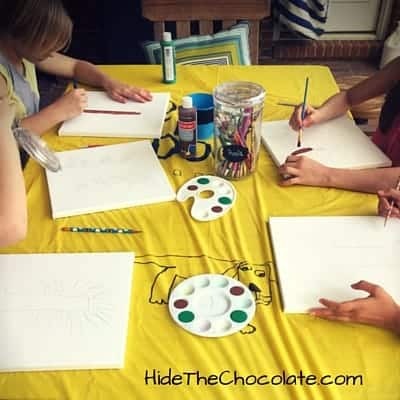 As each girl read her poems aloud, the other girls wrote the name of the poem on a construction paper leaf and glued it to their trees. The result was a work of art that the girls could take home. After all this creative writing and artistry, the girls had worked up an appetite. Food is at the heart of all party schools and therefore, an important part of book club. Inspired by the book, we had dog themed treats. And, if dogs are the inspiration, then dog bowls are necessary for plating the canine delicacies. 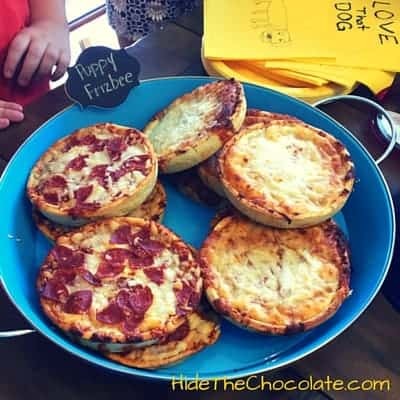 We started with some Puppy Frisbees (individual pizzas) and added in some dog bones (cheese slices cut into bone shapes). 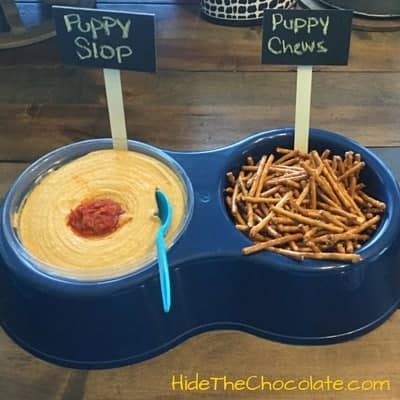 Available for the adventurous were Puppy Slop and Puppy Chews (hummus and pretzels). 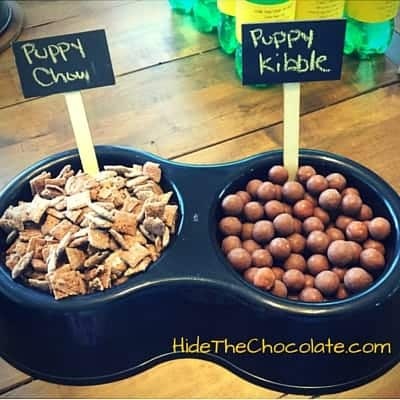 Of course, no dog party would be complete without Puppy Chow and Puppy Kibble (Chex mix recipe and Whoppers). 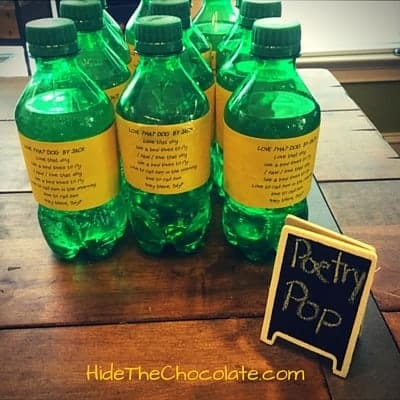 To wash all the kibble down, we had Poetry Pop (sodas with the poem Love That Dog printed on the outside). 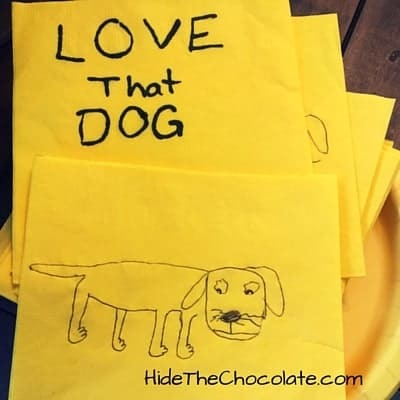 If things got a little messy, you could always wipe your paws hands with specially designed napkins (artistry by the family artist). We had a great time eating out of dog bowls and talking about poetry. 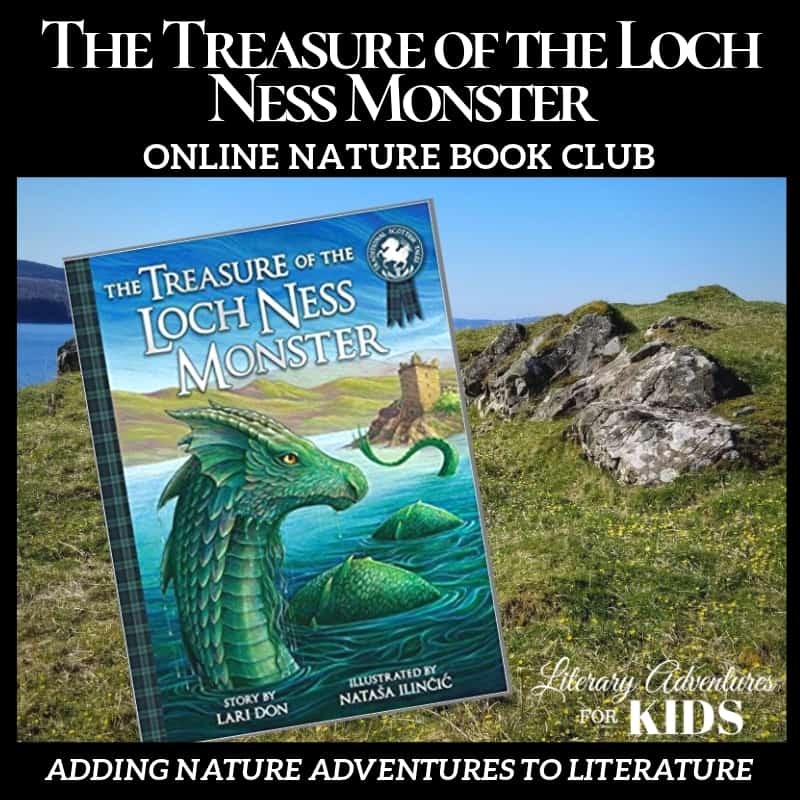 Check out the FB Live Video about our book club below. 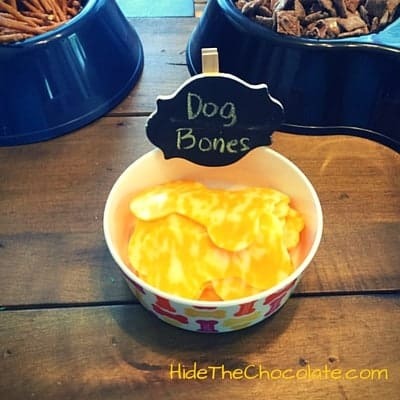 The dog bowls with snacks are adorable. You really have such creative genius! I think my beach reads this summer will include some YA books written in verse. Can’t wait? Thanks, Heather! Ah, beach reads…I have an entire beach bag full of books already. Thanks! The girls had a blast. 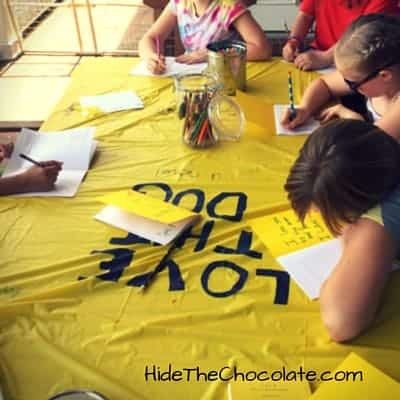 What a creative way to enjoy poetry and have crafts and snacks at the same time! 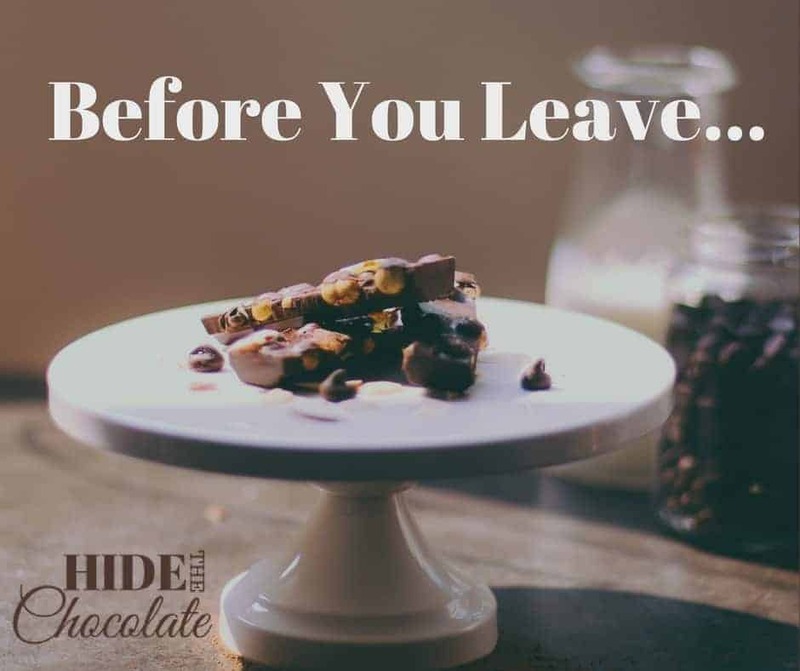 Thanks for sharing with us at #LMMLinkup!